Elizabeth Banks as crossing sweeper. The photograph was taken in the studio of the London Stereoscopic and Photographic Company. Image in Elizabeth L Banks Campaigns of Curiosity (1894) page 134. 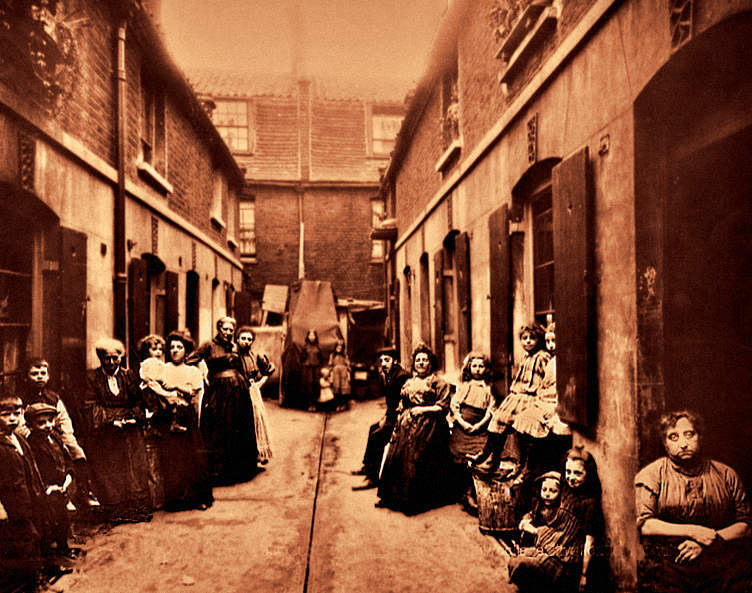 If you read my recent piece on George Ruby, the crossing sweeper, and his relationship with the tragic Jo in Dickens’ Bleak House, you may well have wondered what life was really like for these poor wretches. They qualify all too readily for the title of overlooked Londoner. And yet there was one particular crossing sweeper about whom we know a great deal. And the reason for this is really quite surprising, as her story, which now follows, will make clear. London in the early 1890s. Outside Baker Street Underground Station a young woman was working vigorously with a broom. She was wearing a black serge dress under an old white coat. Round her neck she had a black cashmere shawl, and on her head a battered felt hat. There was something about her appearance that drew curious looks from passers-by. A little fox-terrier snapped at her heels. Her brushwood broom looked new. When she used it to clear a way through the mud, which lay deep on the road, her actions were ineffectual. The broom attacked the mud vigorously but only spattered it in all directions. The sweeper eventually made a path but it wriggled and snaked across the road. And yet not one of the many pedestrians who crossed on her path paid her. The only person who rummaged in his pocket changed his mind. He had pulled out a penny—which was probably more than he wanted to give—but he put it back and went on his way. If the young woman seemed out of place, then there was a reason. And the reason was, simply, that she was not a crossing sweeper. Her name was Elizabeth Banks—properly Brister Banks—and she was an American journalist. 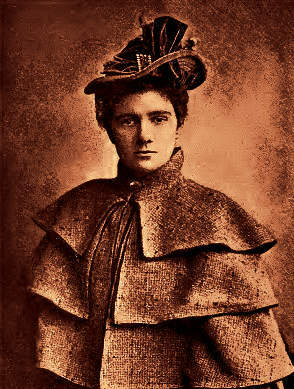 Photograph of the author in Elizabeth L Banks Campaigns of Curiosity (1894) frontispiece. Banks was born in Trenton in New Jersey. There is some uncertainty as to her exact age, for, although records suggest that she was born in 1865, she liked to give 1872 as the year of her birth. Making out that she was younger than she really was might have been a professional manoeuvre, giving the human interest articles she came to be known for a freshness and an immediacy, a youthful sympathy for the humble and the downtrodden. In her native America she had at one point contributed to the society pages of newspapers, but when in due course she moved to England her journalism underwent a dramatic change of direction. are never asked to risk more than their lives in the getting or the manufacture of the news, while the woman reporter frequently takes her life in one hand and her honor (sic) in the other. A Salvation Army shelter for women in Whitechapel, drawn by Paul Renouard. Image in The Graphic 27 February 1892. Indeed, she turned down a number of front-line assignments. She had previously refused to play the prostitute in New York, and she backed out of a role as a Salvation Army worker that took her into the depths of the London slums. Instead she went undercover in such traditional working-class occupations as domestic servant and flower girl. Nor were the subsequent articles merely sensationalist. Following a stint as a laundry worker, she published an exposé that drew attention to the long hours of unremitting toil. And her observations on the crossing sweeper—”not a beggar, but a man of business, however humble his line of opportunities may be”—were similarly progressive. And not only a man—or a woman—of business. For the crossing sweeper, according to Banks, was an artist of sorts, with an eye for geometrical symmetry, for straight lines and circles and right-angled triangles. She admired the skill with which they performed seemingly low-level tasks, anticipating by many years the generous spirit of the young Ernest Hemingway, who would watch the fishermen on the Seine, captivated by their skill. Fishing, performed properly, and with something akin to love, was an art. So too, Banks had argued, was the cleaning of a crossing. And with her journalist’s receptive ear she listened to all the urban legends. These told of the crossing sweepers who had become rich, and one story in particular—that of the old man who swept pavements and lived in cheap lodgings but died with several thousand pounds in the bank—she recorded in some detail. 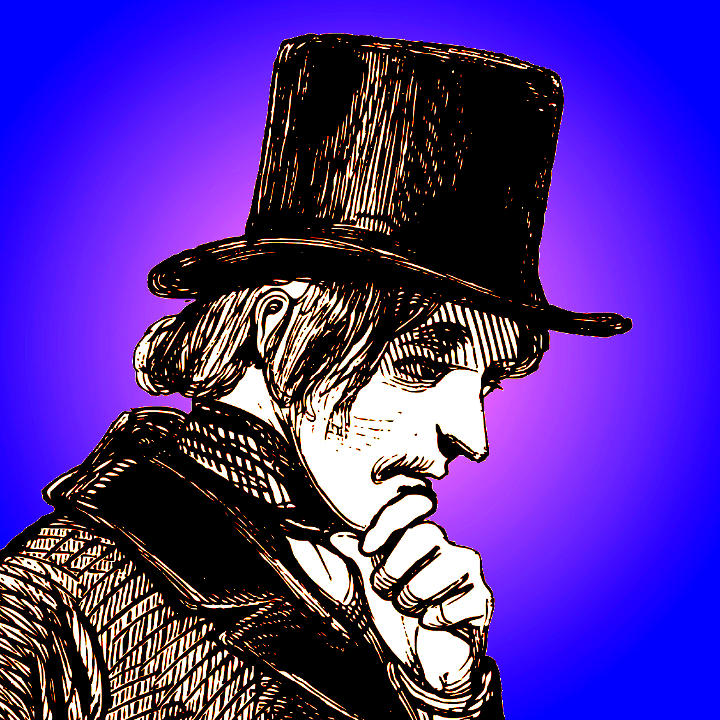 The old man, who had settled his family in a house in the country, and who donned frock-coat and top-hat when he visited them there, was held up as an example of what ambition might achieve, and his story was handed down from father to son. 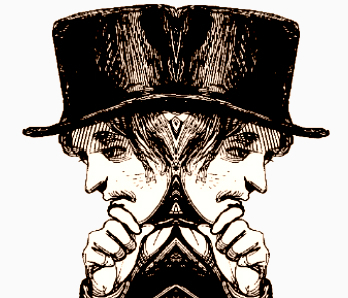 He was the nineteenth-century counterpart of the heroes of antiquity, whose exploits were preserved in oral poetry. And it was this twilight world of indigent and overlooked Londoners that Banks went out to investigate. She was not immediately made to feel welcome. When she stumbled across an old woman who had swept outside the Langham Hotel in Portland Place for many years, and asked if she could hire her crossing for two hours at a rate of a shilling an hour, she was given short shrift. “What’s yer motive?” growled the old lady, who must have seen at a glance that Banks came from a different neck of the woods. Although she would never normally have earned this sort of money, she was afraid that, if she relinquished her pitch even for a short time, she might lose it for good. A crossing sweeper. Image in Henry Mayhew London Labour and the London Poor volume 2 (1865) page 211. Nor was this the only hostile encounter. Banks was accosted by another angry sweeper, who thought she was muscling in on his territory, and she was hooted at by the shop boys. “See the dandy sweep!” one of them shouted. “Has yer got a licence, missus?” They had seen through her—an outsider who had infiltrated their ranks—and they believed that she had come to snoop on them. And maybe they had a point, for when we learn that she had wrapped a newspaper under her bodice not only for warmth—which is not unreasonable—but also for inspiration—which has a touch of the method school of acting—we wonder if her attitude to her impoverished subjects was not entirely tasteful. Even so Banks made some sharp observations. She suggested that the real paupers—in the spiritual sense—were not the sweepers but the passers-by who snubbed them. And the passer-by who made the most generous offering—the woman who thrust a threepenny bit into her hand—was not a lady of means but a “much-painted and powdered” prostitute. Banks was evidently moved, and later she learnt that it was from the “fallen” women that the crossing sweepers got most of their earnings. In the end, though, it was not Elizabeth Banks but Henry Mayhew who lifted the curtain on the hardships endured by the crossing sweeper. Mayhew interviewed a woman by the name of Mary, who at the age of fifty-five worked the crossings every day, come rain or shine, from eight in the morning till six or seven in the evening. 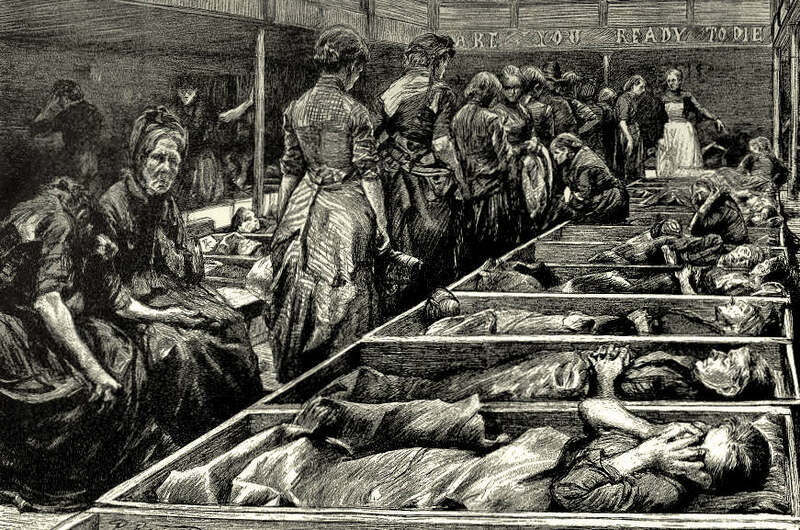 We may well feel that Banks, who cried off and went home at two in the afternoon, because it had begun to rain, only scratched the surface of London poverty. more children than one likes to remember,—dirty children, listlessly trailing an old tin baking-dish, or a worn-out shoe, tied to a piece of string; sullen children, who turn away in a fit of sleepy anger if spoken to; screaming children, setting all the parents in the “yard” at defiance; and quiet children, who are arranging banquets of dirt in the reeking gutters. 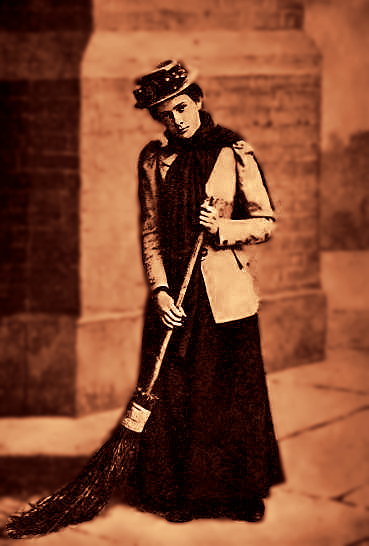 After paying for her brooms—they cost threepence ha’penny and wore out in a matter of days—Mary reckoned that she made two shillings a week. She suffered from pains and swellings in her legs, and poor eyesight, and she had spent long periods in hospital. Mary, like Banks, knew something of human nature, and she found that wealth and generosity did not always go hand in hand. She got more from tradespeople and “gentlefolks who have situations” than from the “nobleman who rides in his carriage”. But in an important respect she differed from Banks, for her discoveries had been forced upon her. She was sympathetic but unsentimental, and she said without a blush that the people who never gave her anything were servants. But she added—and one supposes that she knew whereof she spoke—that servants had nothing to give.